Videos, examples, solutions, and lessons to help Grade 8 students learn how to use rational approximations of irrational numbers to compare the size of irrational numbers, locate them approximately on a number line diagram, and estimate the value of expressions (e.g., π2). I can estimate the value of expression involving irrational numbers using rational numbers. I can compare the size of irrational numbers using rational approximations. 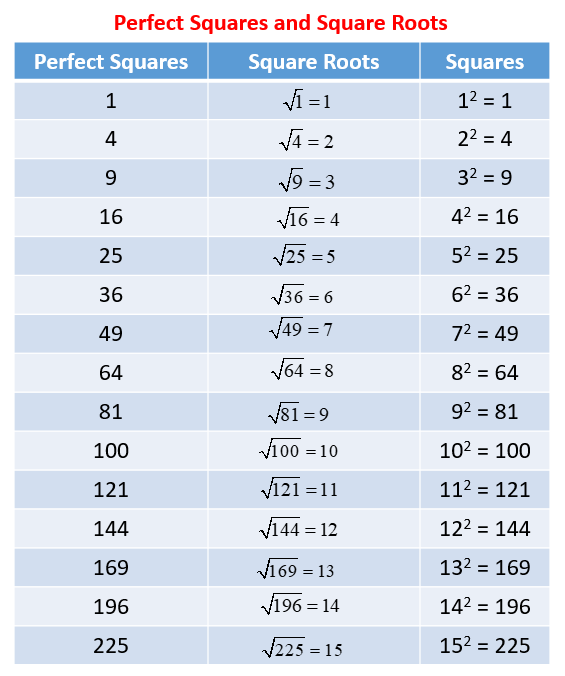 The following table gives the perfect squares of numbers from 1 to 15. Scroll down the page to learn how to approximate irrational numbers using the perfect squares. Learn the perfect squares for the numbers 1 to 15. Approximate the square root to the nearest integer and place your answer on the number line. 2√(a + b2) when a = 11 and b = 5. An instructional math video on how to make estimations about the value of irrational square roots. An irrational number is any number that cannot be written as a fraction. Irrational numbers have decimals that keep on going forever without a repeating pattern. How to make estimations when roots are irrational? 1. Count up until you hit a square root that works. 2. Count down until you hit a square root that works. 3. Square root the high and low number, then graph their points on a number line. 4. Your estimate should be somewhere between those two numbers. The square root of a number n is a number whose square is equal to n, that is, a solution of the equation x2 =n. The positive square root of a number n, written √n, is the positive number whose square is n.
An irrational number is a number that cannot be written as a fraction. It is a non-repeating, non-terminating decimal. Approximate square root of numbers that are not perfect squares and put them on the number line. A number is a perfect square if you can take that many 1 × 1 unit squares and form them into a square. When a number is a perfect square, the side length of the square it forms is called its square root. √11 is between what two integers? Which number in the number line below best represents the location of √122?